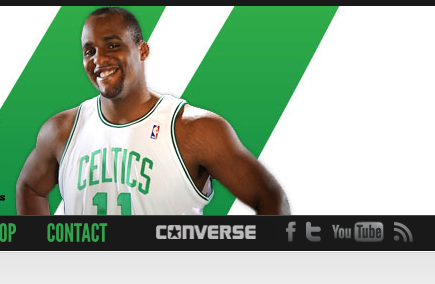 As was reported here earlier this year, it looks official that Glen Davis has signed with Converse. Hopefully he's just one of many new additions to Team Converse this season. Below is a screen grab from IamBigBaby.com. Look for Davis in either the Converse DefCON or Pro Leather 2k11 when the NBA season tips off.